Princess Charlotte to be Christened Today. Nine weeks old Princess Charlotte Elizabeth Diana, daughter of the Duke and Duchess of Cambridge was christened today at the Church of Saint Mary Magdalene. The church is located on the Sandringham Estate where the Queen is currently in residence and near Anmer Hall, the country home of the Duke and Duchess. It is the church where the Royal family attends Christmas services. 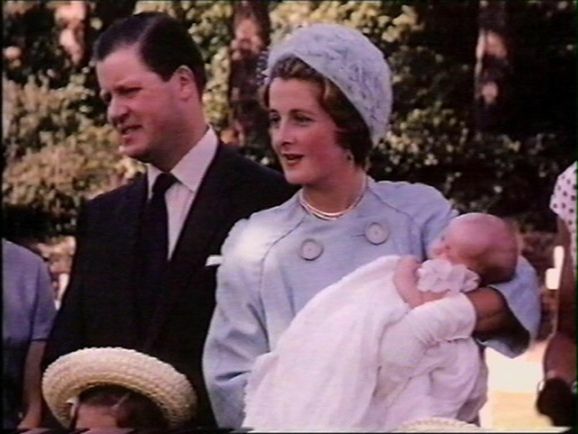 The 16th-century church is also where Princess Charlotte’s grandmother, Diana, Princess of Wales, was christened in 1961. Princess Charlotte will be christened in the same gown that her brother, Prince George, wore. The gown is a replica of the gown worn by her father, Prince William. It was originally made in 1841 for Queen Victoria’s eldest daughter. 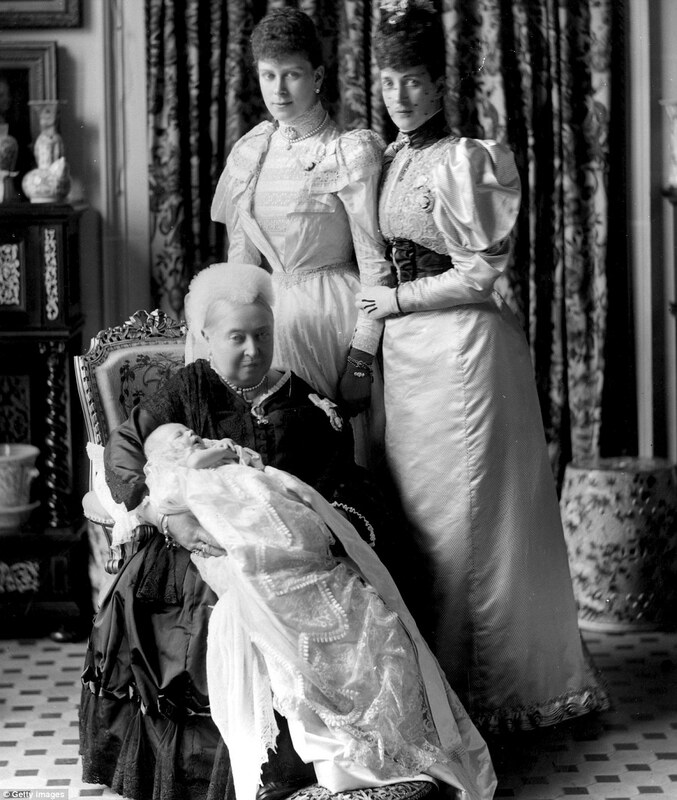 The original gown was a similar style to the wedding dress Queen Victoria had worn for her marriage to Prince Albert. Both gowns are made of Spitalfields silk with a Honiton lace overlay. The Royal Lily Font will be used for the christening and filled with water from the River Jordan. Here is a close up of the font which was commissioned by Queen Victoria and Prince Albert in 1840 for the christening of their first child, daughter Victoria Adelaide Mary Louisa. The font takes the form of a fully blossomed flower. It features a border of water lilies, stems, and leaves. At the base, there is three seated lyre playing cherubs. They hold the Royal coat of arms and supporters. The Godparents selected were Laura Fellowes, Prince William’s cousin and a Spencer family member, Sophie Carter, a friend of Catherine’s, Thomas van Straubenzee, an old school friend of Prince Williams, Adam Middleton, the cousin of Catherine and James Meade, a former Eton classmate of William’s. The Duke and Duchess walked to the church from Sandringham house with their children. They invited the public to line the walk. 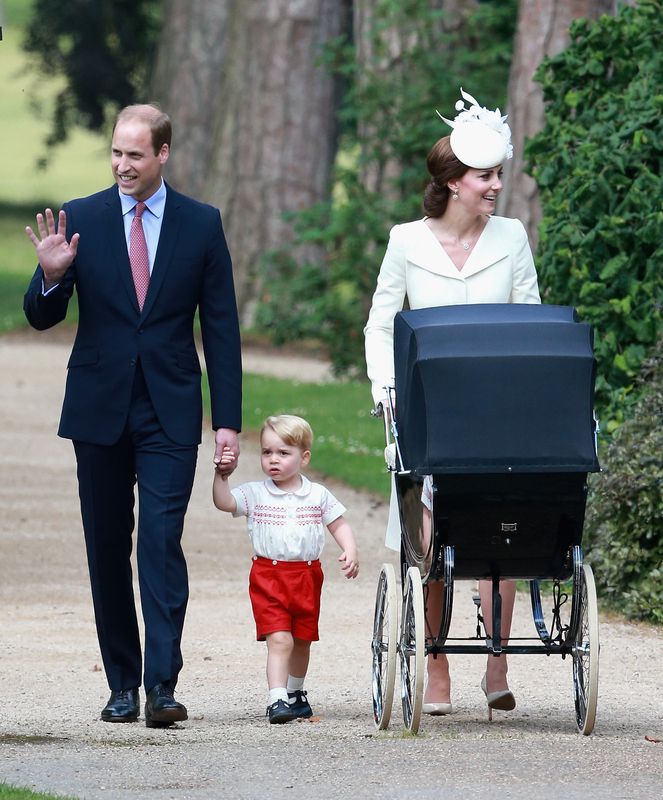 The pram that Princess Charlotte was pushed in was the same that Queen Elizabeth pushed her children in. Silver Cross prams are a favorite of the upper class. A famous photo of Diana, Princess of Wales as a child shows a similar pram. The Queen arrived at the church by car. After the service, tea will be served to their guests at Sandringham. A christening cake will be served. The cake is a tier taken from the Cambridge’s wedding cake. The service in Norfolk England is set to begin today at 11:30 a.m. ET. Blessing to the sweet baby on this special day. God bless and long live Charlotte and the entire Royal Family! Thank you for all the information, this is wonderful news. Such a lot of history and fabulous traditions. That little George is such a cutie! I love this post~ and that little George is a Spenser through and through…he looks like Winston Churchill! What a sweet post and a happy day for the Duke and Duchess! Laura, thank you for sharing all the information and the photos. They are a beautiful family, and the children are adorable. I always LOVE your posts on the royal family! Thanks for keep me royally informed!! I hope that you and your family had a wonderful 4th of July! I didn't know this, so thank you for all the beautiful pictures. I love the posts you do about the royal family. Weddings, history and now a beautiful christenning. I love the font and the vintage buggy…Oh excuse me a pram…Lol Also the cake is to die for. I just love everything English. Thanks again. I love your posts on the royal family – so many interesting tidbits. Thank you for gathering and sharing. Love all the details you tell us about the royal family Laura! That pram is a darling, royal or not! Gorgeous and classy! The pram really is the icing on the cake though. Congrats, Charotte!